Mis padres han venido a visitarnos y nos han traido bastantes cositas que nos dejamos en casa, como la blusa y los oxford (entre otras más que ya os enseñaré). El abrigo lo compré el invierno pasado en Bristol y lo he usado un montón. My parents came to Barcelona to visit us (they are still here) and they brought some thing that we left at home, like the shirt and the oxfords. I bought the coat in Bristol last winter and I've worn it lots of times. Thank for the nice comment on my blog! It is a great coat! love this shirt. Thank you for your comment on my blog ;)!Maybe we can follow each other? Let me know ;)! Your coat is really cute! It's always great when you live abroad and your parents visit you bringing with them old treasures from your closet. Qué tal hermosa!!!!!! estás por Barcelona?¿?¿?¿? ?¿ Cuenta, cuenta!!!!!!! Tú si que estás guapa. Guauu!! !el abrigo es precioso!! Me encanta!! Amazing look, love your printed shirt and coat! 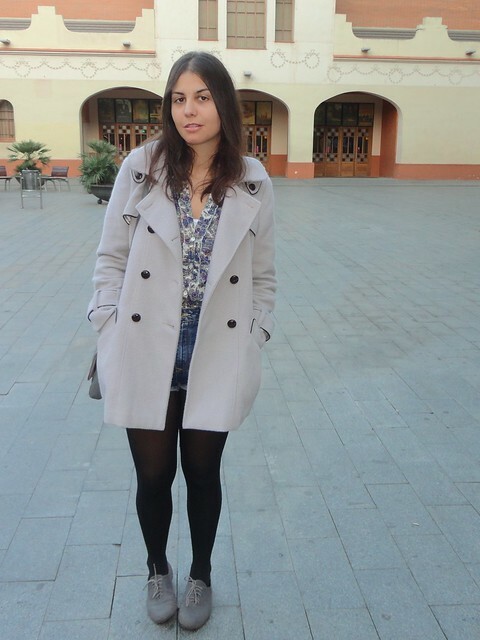 súper bonitos los shorts y la trench me encanta!! P.D. estoy de sorteo en mi blog ¿participas? Pues has combinado las prendas de una forma estupenda. I really like the printed shirt you're wearing! 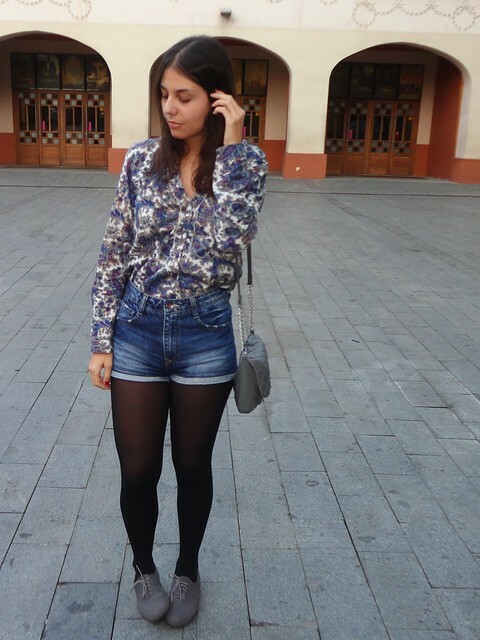 It's beautiful with your denim shorts! I love your coat ! !